Once you see that diamond ring in the hands of the man of your dreams, you begin envisioning your perfect wedding that inevitably includes a fairy tale wedding venue. Even though choosing a wedding venue might seem simple at first glance, there are several things to consider before signing the contract with the chosen venue. 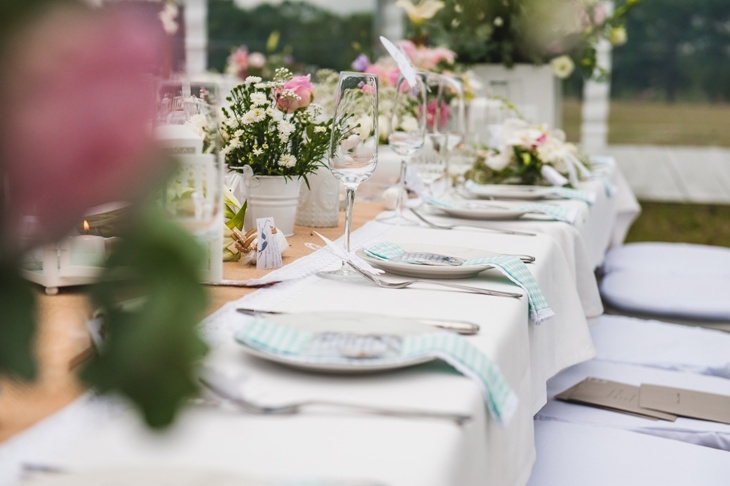 The number of wedding guests attending your wedding is perhaps the number one question you should ask yourself before deciding on a wedding venue. Not only should the wedding venue be able to house all your wedding guests, its size should also feel right both for you and the guests. Make sure to carefully consider this question as you don’t want either your guests to feel crowded or look like they’re just a small wedding gathering waiting for the rest of the guests to come and fill the space up. Make sure you have already set the wedding date before you go wedding venue hunting. The reason? A lot of the wedding venues show pictures of the location taken in a certain season (summer, for example) and you might be surprised to find out that the beautiful green garden you saw on their website has nothing to do with the muddy lawn it turns to in late autumn. The next thing you should have in mind is the time of your wedding. Once you have that figured out, it will be much easier for you to pick the best wedding venue that fits your wedding best. Having a day wedding in the summer? Perhaps a sunny outdoor venue is not the best option for you as everybody will be hot and uncomfortable against the bright sun! Getting married after dark? It’s a good idea to go and see for yourself what the venue looks like at the time you are planning to use it (if it is an evening wedding, you should make sure the wedding venue is well lit, for example). Even if you’ve found out the most romantic wedding venue, there’s still the chance of you not liking it in person. Follow your instincts and don’t go for a venue you don’t feel right about. After all, this is your wedding, and the wedding venue is the place where all the celebrations will take place, together with most of your wedding memories. You want them to come from a place you have truly fallen in love with, don’t you?